Calvert Clark is a 2022 OF/UT with a 6-4 180 lb. frame from Charlotte, NC who attends Charlotte Christian. Tall and ultra-projectable frame with room to fill and plenty of time to do so. Ran a 6.94 second 60 yard dash. 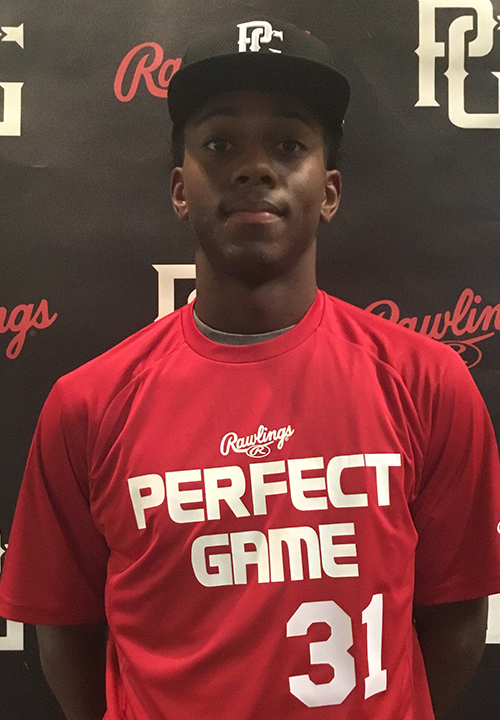 Primary outfielder, fields the baseball to the side with good footwork coming through it with plenty of athleticism, loose arm action with low effort into release, topped out at 82 mph from the outfield with plenty of carry to his intended target. Also pitched, loose working arm on the mound up to a high 3/4 arm slot, low effort delivery projecting for plenty more velocity moving forward, stays tall on backside staying online to the plate with clean mechanics, fastball topped out at 85 mph with plenty of angle, curveball is sharp with 11-to-5 shape. Righthanded hitter, even base with a slightly open stance and a high back elbow to start, creates good whip to the barrel, hands could use some refining into stroke but swing projects very well. Good student. Named to 2018 14U National Top Prospect List. Named to 2018 14U PG Select Baseball Festival.